Janus, the two-faced Roman god. 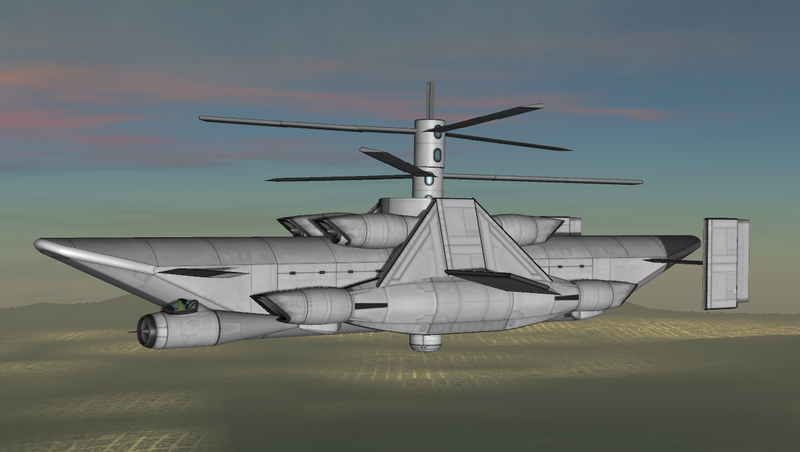 Janus is my first coaxial helicopter in almost two years. The engine is based on the Asura II. Due to the size I had to build two cargo bays. When loading/unloading, its best to do both at the same time and with the same weight. The looks are unusual but I feel it’s got its own special beauty.